SHORTIE SAYS...: For the weekend.. In a little while I'm heading to my boy's river house for the weekend. I finished LINGER last night though, so I'll post my thoughts on that when I get home on sunday! ALSO!!!! 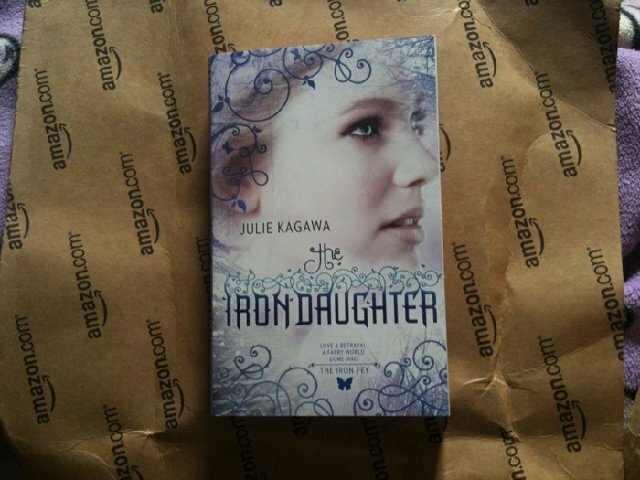 Today UPS brought me THE IRON DAUGHTER !!!! 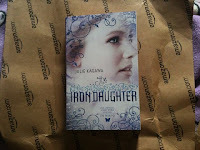 I'm so excited because this is one of my favorite series and I got the book before the official release date (aug 1st). SOOO HAPPPYYYY!! 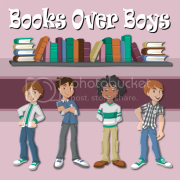 *happydance* I will probably have this book finished by the time I get home too. Maybe, depends how busy we are, and if it rains.